There are reports that Samsung Galaxy S3 might not receieve the latest Android 5.1 Lollipop update. However, there are a ton of custom ROMs being made available to fill that gap. Here is how to flash feature-packed and very stable Resurrection Remix Android 5.1 Lollipop custom firmware on Samsung Galaxy S3. Files required: download the Resurrection Remix Android 5.1 custom firmware from here; also download the Google Apps. Save both files on PC. 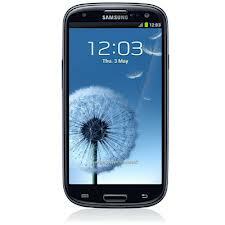 Connect your Samsung Galaxy S3 I9300 to your computer using USB cable and copy the downloaded files to the SD card of your Galaxy device. Select install zip from sdcard followed by choose zip from sdcard. Locate the Android 5.1 based Resurrection Remix custom ROM file copied earlier and select it. Tap on yes to confirm installation and wait for the ROM installation to be completed. Return to main recovery menu now and select reboot system now to boot up into the latest Android 5.1 Lollipop custom firmware for Samsung Galaxy S3. It will take a bit of time during the first boot, so kindly be patient. Ta da! Enjoy Lollipop on Galaxy S3.